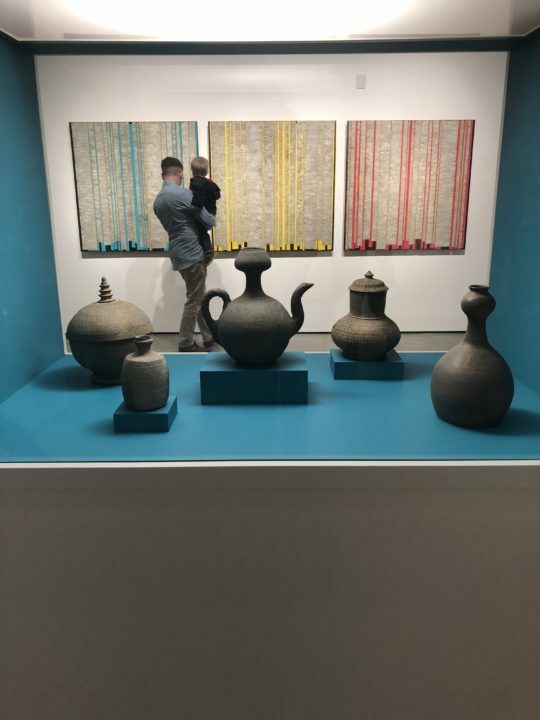 Robert and Frances Fullerton Museum of Art (RAFMA) new art exhibit consist of a solo show for the Lebanese American Artist Rabbia Sukkarieh and a group show for Korean Artists displayed in the backspace. 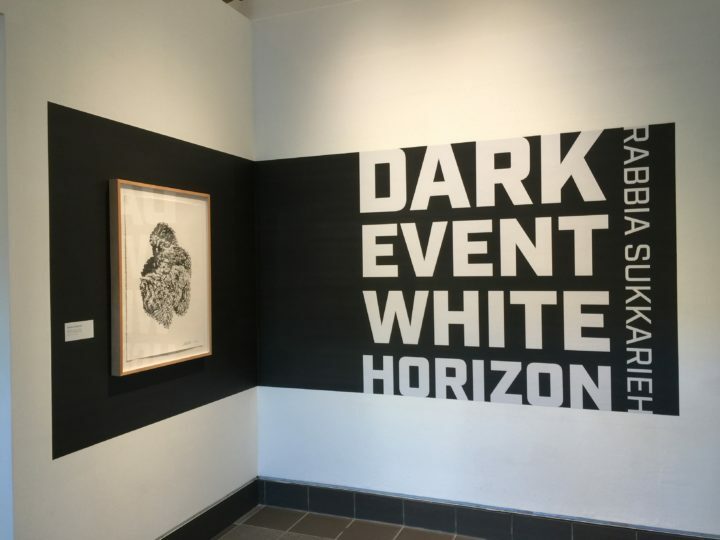 “DARKEVENTWHITEHORIZON” the solo show by Artist Rabbia Sukkarieh first presented as people walked in, with drawings and a wall sculpture, creating a sense of being different and unique. Her sculptures were huge, made completely out of wool and were displayed in the smaller space to the left, while her very large paintings were displayed in the middle of the exhibit and were very detailed and intertwined with color and darkness at the same time. “DARKEVENTWHITEHORIZON is about the event horizon. The last edge of safety before all is swallowed into a dark hole. It is living with death but never giving up on life. The influence of my dynamically morphing life is evident throughout my intricate expressionistic yet carefully structured drawings, paintings and sculptures. These greatly organic forms and multi-layered works convey the mix of tremendous energy and dark beauty. They convey dangers of barbed wire or even cosmic explosions, corpses bulging out of ruins; deterioration and rebirth become one existence. Living through a very long war, missing the warmth of my home, yet really knowing that we are all emotionally and cosmically ONE,” described Sukkarieh. Many students showed up to support the opening reception as well as CSUSB alumni, local residents, curators, the artists themselves and the dean of the university took time out of his night to show his appreciation to the exquisite art. CSUSB alumni explained it was important for them to be there to support local artists and the community. The students and community who showed up looked very impressed by what they saw. 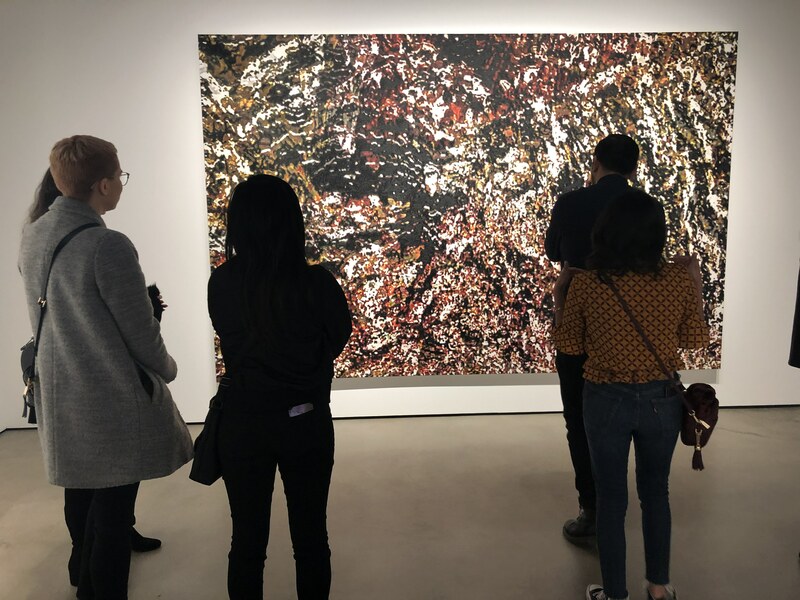 The second installation was titled Ancient future: Contemporary Korean Artists and the Past by David B. Jand, Kwang-Seop Oh, Yong Sin, and Whi-Boo Kim. The inspiration for these pieces is a thousand-year-old kingdom called Silla in which the inhabitants would wake up every morning building ceramic sculptures and other art for relaxation and a sense of calmness. The artists have kept this ancient tradition alive by continuing to build contemporary ceramic pieces and paintings that produced vibrant colors and simplicity at the same time. With this event RAFFMA continues to hold true its mission statement: Creating relevant and meaningful cultural experiences for the widest array of audiences, regional and beyond, through art exhibitions and educational programs to illuminate, engage and inspire, enrich and transform lives. In 2008, RAFFMA was granted accreditation from the American Alliance of Museums, the highest national recognition an American museum can achieve, recognizing their continuing commitment to excellence.